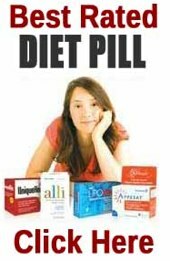 As the name suggests, XLS Medical Specialist Appetite Reducer is an appetite suppressing supplement. It contains only one active ingredient, a proprietary blend called Reducer, and the XLS Medical Specialist Appetite Reducer marketing material states 94% of people who consumed the compound experienced a feeling of fullness. XLS produce several other products in their diet pill range including XLS Carb Blocker and XLS Fat Binder. Clinically proven to promote weight loss by reducing food intake. Helps you take control of your hunger. Eat less food & still feel full. What is XLS Medical Specialist Appetite Reducer and How Does it Work? XLS Medical Specialist Appetite Reducer is not a complicated product. It has been designed to suppress the user’s appetite. Nothing more. If the product is successful in this, capsule users should find it easier to eat less food (without feeling hungry all the time). This should allow them to lower their calorie intake and, if the amount of calories they consume is insufficient for the body’s requirements, body fat will be burned for extra energy. XLS Medical Specialist Appetite Reducer contains an undisclosed quantity of a proprietary blend, called Redusure, that is manufactured by the InQpharm pharmaceutical company. According to the official Reducer website the ingredient provides a “highly purified proprietary complex of high-swelling capacity dietary fibres” that can swell by up to 200 times their original size when they are exposed to water. InQpharm also claims Redusure has a clinically proven ability to be “effective in promoting satiety for weight loss by reducing food intake”. It all sounds very good, and the graphs provided on the Reducer website’s “efficiency studies” page are also quite convincing, but instead of links to the studies the page bears a small print statement that reads “Data on file, InQpharm Ltd., 2014”. A few graphs and some big claims cannot be seen as scientific proof that the blend works in the intended way, but the active ingredient in Redusure is konjac and it is known to have value as a natural appetite suppressant. Whether or not the Redusure blend will be capable of fully harnessing the powers of konjac is hard to say, but pure konjac fibres (as sourced from the roots of the konjac plant) have the ability to soak up water like a sponge, the process happens very fast, and the fibres expand considerably. For this reason, konjac-providing supplements are generally taken with plenty of water. This encourages the fibres to expand in the stomach and create a feeling of satiety. In 2010, the European Food Safety Authority examined the results taken from a number of konjac studies and established a cause and effect relationship between konjac supplementation and weight loss. Usage Guidelines Two capsules are required three times each day and the doses should be timed to correspond with a main meal (breakfast, lunch, dinner). The capsules should be consumed 30 minutes before eating is commenced and be washed down with a large glass of water. XLS Medical also point out the need to drink plenty of fluids throughout the day. 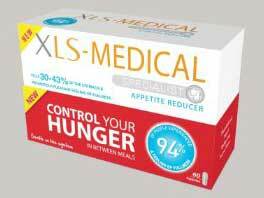 * XLS Medical Specialist Appetite Reducer is not designed to be used as a meal replacement. The manufacturer claims Appetite Reducer has no known side effects, but stresses the importance of not opening the capsule casing, and attempting to use the powder inside, as this could lead to choking. The manufacturer also suggests capsule users drink at least two litres of water each day to prevent constipation from becoming an issue. 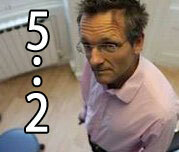 The formulation is unsuitable for pregnant women and women who are breastfeeding a child. It is also not deemed a suitable weight management option for anyone who has a BMI of 18.5 or less or for children who are under 12-years of age. However, we feel it would be a wise precaution for parents to seek the advice of their GP before giving XLS Medical Specialist Appetite Reducer or any other brand of supplement to anyone who is under 18-years of age. XLS Medical is a subsidiary of Omega Pharma. Omega Pharma is one of the largest and most respected European manufacturers of health and wellness products. Many Omega Pharma products, including Buttercup Syrup and Nytol, are household names in the United Kingdom. The company markets several other weight management products under the XLS Medical brand, the most famous of which is probably XLS Medical Fat Binder. XLS Medical Specialist Appetite Reducer is a available from a number of sources (online and on the high street) all over Europe, but customers who are based in the United Kingdom may find it easiest purchase a supply of Appetite Reducer via Boots. Expect to pay around £18.99 per 60 capsules. Although XLS is a totally respectable and reputable brand our recommendation is for PhenQ – a diet pills that works in a similar fashion but offers much more. 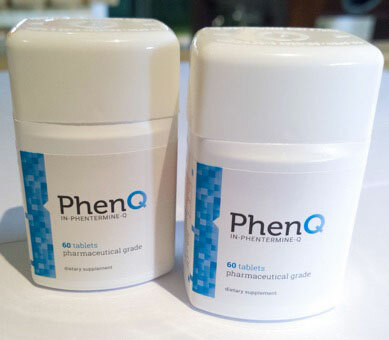 PhenQ is a highly effective appetite suppressant but is can also help to block dietary fat from food consumed as well as burn existing body fat. It has a long 60 day money back refund policy and does not charge delivery to any location in the world.